Absolute Beauty has been offering professional skin and beauty treatments performed by Nazeera, an internationally qualified aesthetician since 2003. Centrally located in Oakdene, Absolute Beauty offers a private and tranquil setting in a beautiful garden. We offer results-driven skin care that will help you to recapture your youth. Personalised skin treatments are available that will address the various concerns that you have. We offer a range of treatments – medical peels, whitening facials, microneedling, microblading, mesotherapy, lazer hair removal, skin tag removal, vein removal, moles and freckles removal and waxing. Glutathione treatments are available. We offer beauty courses by a qualified moderator and facilitator. Makeup and massage workshops are also available. We offer professional care, exceptional service and cost effective treatments. Choose from our wide range of affordable hair removal treatments. We use and stock only the best products available on the market. 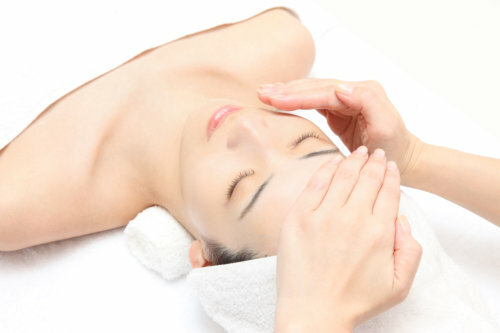 Choose from our wide range of effective facial treatments that deliver results. The lash lift procedure can lift, straighten or curl and lengthen your own natural lashes to create a fuller wide eyed look. An excellent treatment for people with acne scarring, pigmentation and scarring. From anti-aging, to hydrating and deep cleansing facials, we offer a variety of facial treatments to renew and revitilise your skin. Tired of shaving, plucking, or waxing? If so, you may want to consider laser hair reduction to remove unwanted facial and body hair safely and effectively. Stockists of the following products.